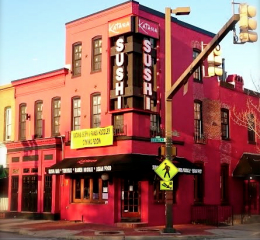 Katana Japanese Cuisine & Ramen Noodles Soup is conveniently located in heart of Baltimore in the neighborhood of Canton. We are close to all of Baltimore’s attractions, and are the perfect spot for enjoying lunch or dinner, while seeing the city. With seating, a private dining area for larger parties, a Sushi bar and friendly wait staff, we are a local favorite for a date night, dinner with friends, and lunch on the go.